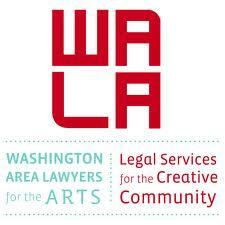 The Glushko-Samuelson Intellectual Property Law Clinic of WCL, in collaboration with the Washington Area Lawyers for the Arts (WALA) and George Washington University College of Law’s Small Business Clinic will hold another in its series of “Pop Up” Legal Clinics for creative entrepreneurs seeking legal assistance. The Pop Up Clinics provide legal consultations to individuals and businesses involved in the regions’ creative economy. Student attorneys from the WCL IP Clinic will provide assistance in copyright, patent, trademark and related fields. GW student attorneys from the Small Business Clinic will provide start-up corporate assistance in the area of small business development. All student attorneys will be supervised by WCL and GW law school clinical faculty. The Pop Up Clinic will be held 5-7 PM on Wednesday, October 29th at the GW law school clinic offices at 2000 G Street NW in DC. Another clinic will be held in the Spring. This entry was posted in Clinic News and tagged American University Washington College of Law, gw, ip clinic, pop up clinic, wala. Bookmark the permalink.